PES 2014 boasts a new feature called ‘The Heart’, where players play better with home support and superstar players will have more influence in a game. This is designed to add more realism to the game and perhaps offer weaker teams playing at home a shot at victory against stronger teams. Well, this is cool, but in my opinion, this feature is already present in PES 2013, and perhaps even earlier. Members of PES Academy will have learnt about the effects of game momentum, how to control it and use it to their advantage. In an evenly matched game, one team can suddenly score a couple of goals in a span of 10 minutes and secure victory. That is game momentum at work. Players will also perform better at certain times of the match. The moment a striker, who may have not contributed to the game thus far, finds an opportunity to take a shot on goal, he will begin to get into the momentum and over the next few minutes, you will find that he plays better, gets into better positions, runs faster, shoots more accurately and with more power, and starts to pose a real threat at goal. Even though he has been a mere passenger, he will somehow play better once he gets to take a shot on goal. This, again, is game momentum at work, and this is the supposed effect of PES 2014’s The Heart. In PES 2014, players’ motivation changes throughout the game. When a player happens to be ‘highly motivated’ during a free kick, the free kick direction arrow will change in colour and there is a higher likelihood that he will score. This change in motivation affects the player’s ability throughout the game. One moment he may be playing well, the next moment he may misplace a pass. And such situations are similar to the game momentum effect we have been experiencing in PES 2013. Which means that The Heart will not be something totally new to us, which probably means that the learning curve will not be as steep despite the use of a new game engine. Yes there will be new controls, new gameplay strategies, new chip through pass / long ball strategies to learn. 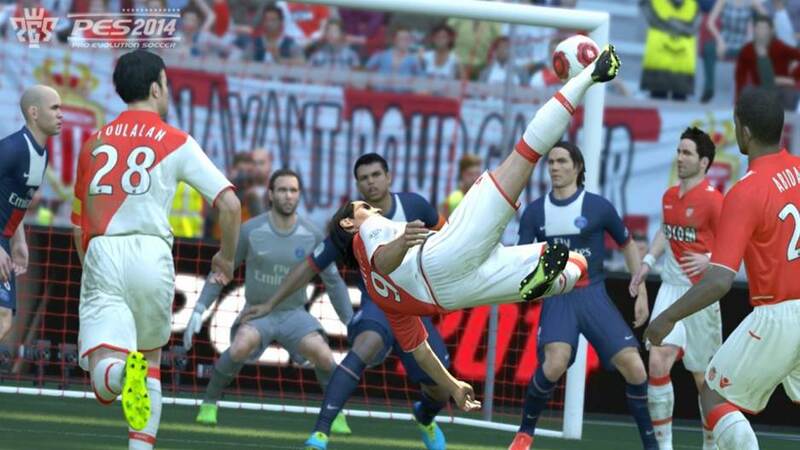 But if you are able to master game momentum and control it well, you will have an advantage in PES 2014.